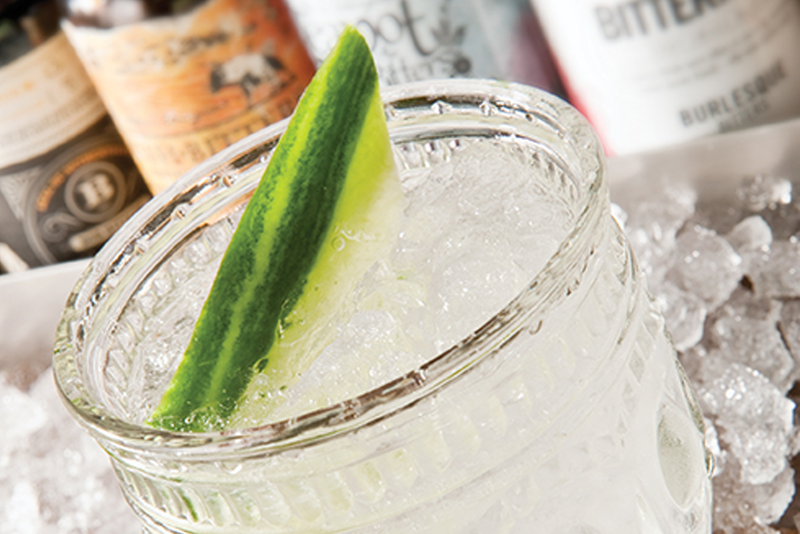 Place crushed ice in an old-fashioned glass. 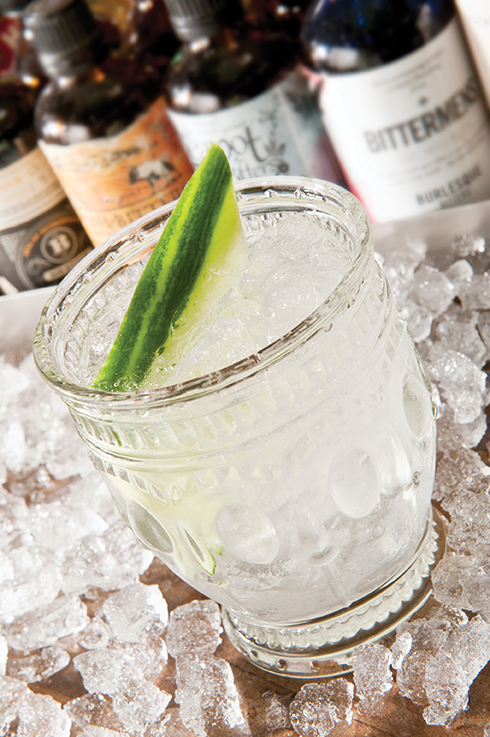 Add M DRY and garnish with a slice of cucumber. 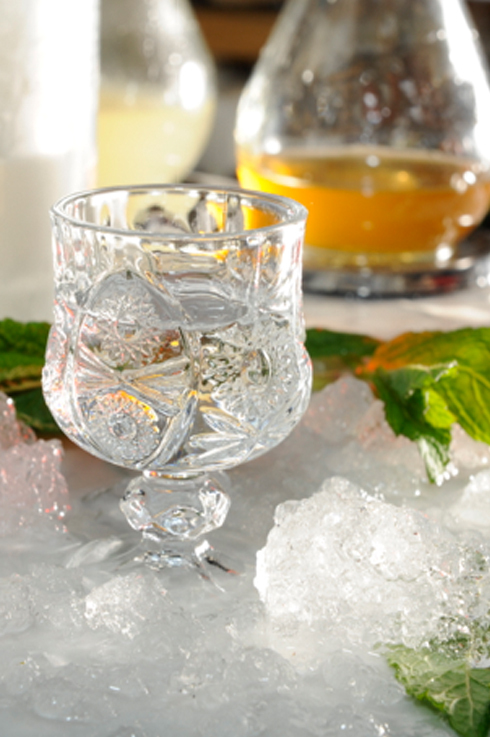 Rub mint leaves around the rim of an ice-cold shot glass for a minty aroma. Serve Μ DRY chilled .